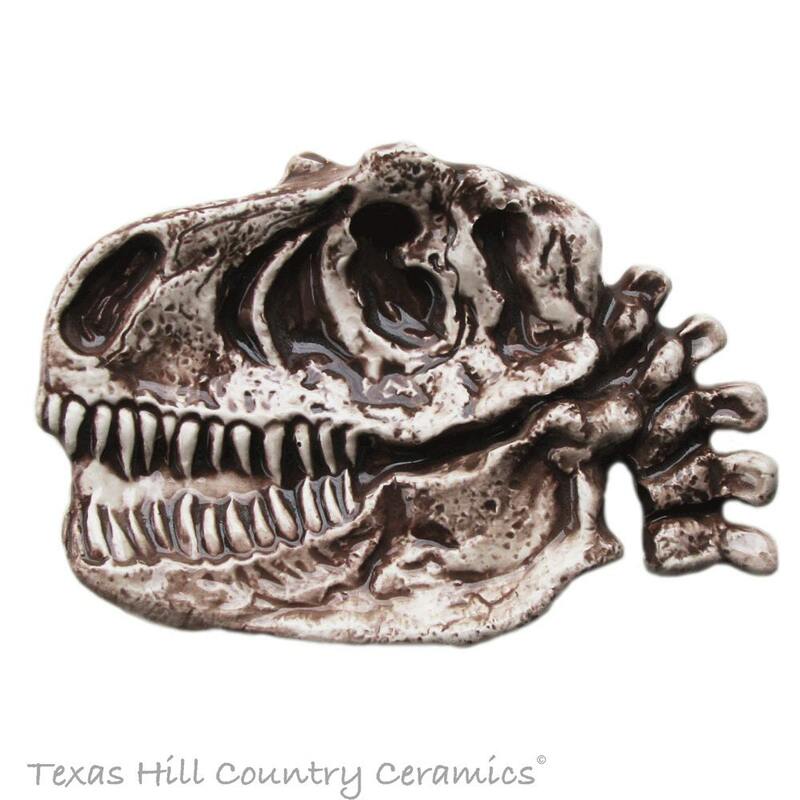 You have just discovered a ceramic replica of a prehistoric Tyrannosaurus Rex (T-Rex) fossil dinosaur skull. 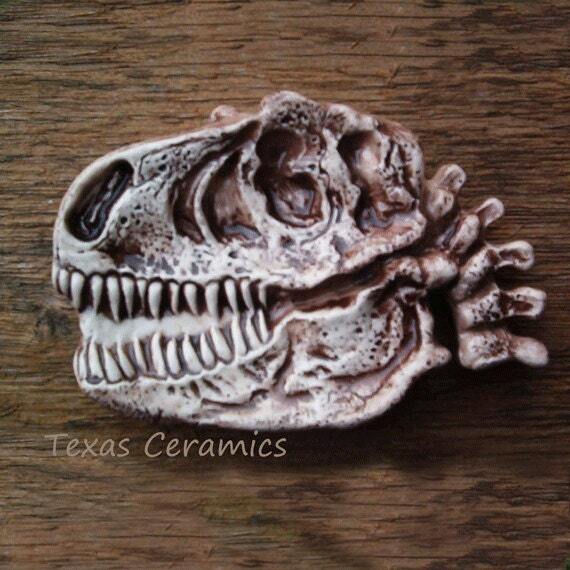 This T-Rex fossil is cleverly disguised as a ceramic tea bag holder or small spoon rest. 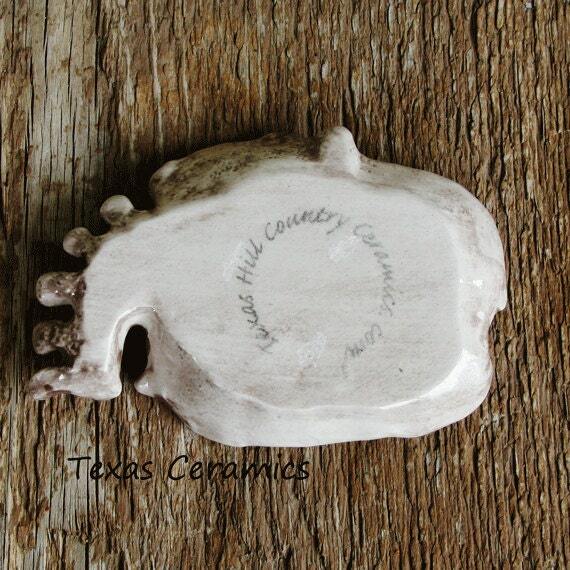 This ceramic fossil has lots of texture and detail but isn't real, nonetheless you sure can have some fun with it. 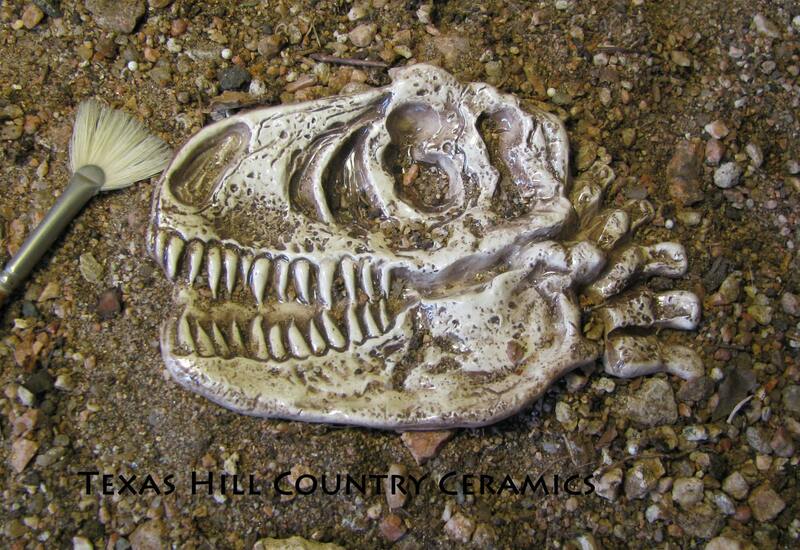 This T-Rex fossil is made of domestic ceramic clay and lead free glaze. During the finishing process I use many techniques and non-toxic products to achieve the final piece you see. The process I used to finish this piece makes it dishwasher safe, the colors or design will not wash off, fade or peel. This T-Rex tea bag rest is cast solid for added durability and longevity. 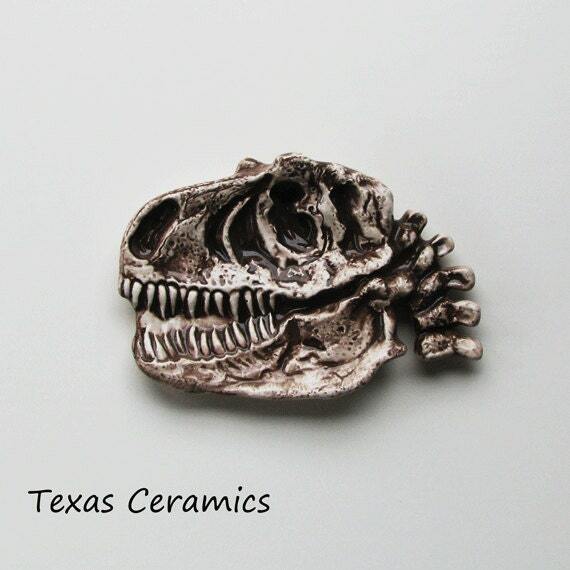 This Tyrant Lizard skull is a great item to give to that Jurassic Park enthusiast or even to a Paleontologist. This piece has many uses too, your imagination is the limit. It's a little bigger than I had anticipated, but I'm very happy with it! Love it! Super fast shipping!!! Bought this for a friends birthday gift. It arrived way faster than expected. My friend LOVES it. She says it looks great in her kitchen and SO much better than their other plain spoon rest.